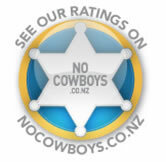 Vehicle & Shop front NoCowboys stickers are only $9.95. Payment can be made using Visa & MasterCard. 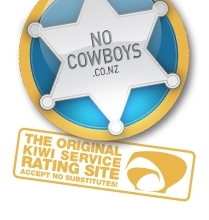 Enter the number of stickers you want along with your delivery details and once payment has been received we will ship the Vehicle & Shop front NoCowboys stickers. If you don't have a Visa or MasterCard then contact the registration team to order your stickers. Shipping is free throughout New Zealand.